With wide and industrial experience we are able to offer Stainless Steel Canopy. We produce these types of products using excellent quality of steels andraw materials purchased from leading vendors. Our Canopy has featured this with hard steel body for prolonged usage, reliable performance and historical royal appearance. These are applicable in all types of buildings to place air conditioners, decorations. We have reasonably priced our products. 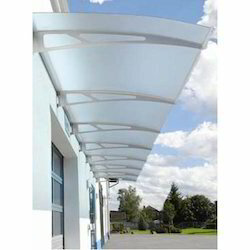 As one of the leading entity of this domain, we are engrossed in providing supreme quality SS Canopy. 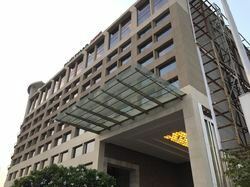 There are five types of canopies designs provided to the clients. These canopies are developed utilizing glass, stainless steel frames, and stainless steel bars. According to the requirements and budget of the clients, we manufacture the canopies using quality stainless steel grade materials and latest technology. Clients can also opt for custom specifications for the canopies. Apart from this, clients can get the canopies made available at industry leading rates.